02010.08.26: Day two of the Introduction to Computer Science class. Observe: Mitch Kapor hyperlinked into the Wikipedia. Hmm… Who is Mitch Kapor? I learned a lot from reading reading Ray Kurzweil’s The Singularity is Near. 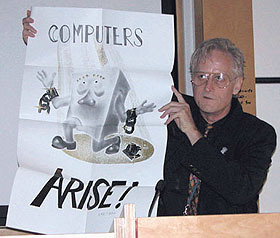 In a nutshell, Kapor and Kurzweil are futurists whose last names start with the letter ‘K’. There another futurist whose last name starts with the letter ‘K’ and that is Alan Kay. In the Introduction to Computer Science we use the C++ programming language. C++ supports object oriented programming (OOP) and Alan Kay is considered one of the fathers of OOP. 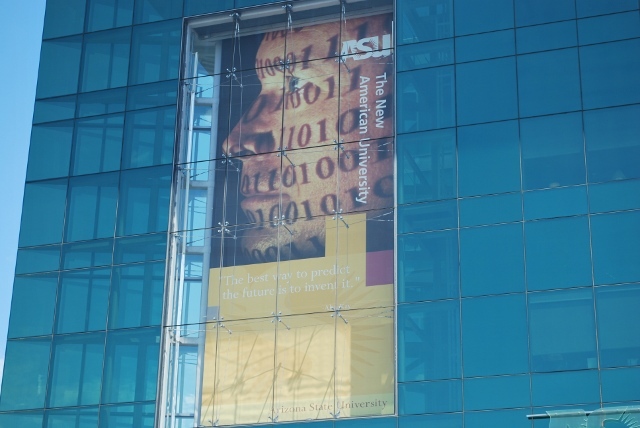 The following picture of the Foundation Building at Arizona State University was taken during early August of 02010. You are currently browsing the Yottagoo blog archives for August, 2010.